Welcome to Vesta Marble & Granite, where for over 30 years we’ve been helping to realize our customers’ dreams in marble, granite, quartz, quartzite, and the variety of stone and tile products available to beautify your home. From kitchen countertops, bathroom countertops, fireplaces, and custom furniture to tiles, interior and exterior products, and sinks and faucets, find out why we are considered one of Ottawa and the National Capital Region’s premier stone companies. We’ve built a reputation on excellence in knowledge, craftsmanship, and most importantly, service. Take some time to peruse our gallery or review our process. 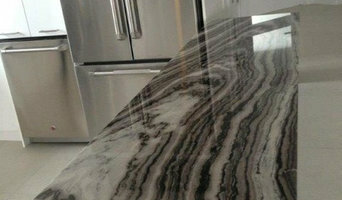 We look forward to helping your realize your own marble and granite dreams! We are Ottawa's leading importer and supplier of exceptional quality stone and tile products for residential and commercial customers. Modern Tile specializes in custom tile work. The EMERALD tile + marble family is proud to have an exceptional team of individuals who regularly go above and beyond to offer our clients the very best in product quality, selection, and customer service. Our team works with homeowners, builders, architects and designers alike to make their dream projects a reality. Your home is your most important investment, a source of pride and joy, and a reflection of your unique style. Choosing the right materials for your home can be a confusing and time consuming process. Let the experts at Stone Design Concepts help. Serving both residential and commercial clients including Phoenix Homes, Olympia Homes and Richcraft Homes, we have extensive experience using natural stone products in new home construction and renovations. Stone Design Concepts uses state-of-the-art CNC cutting machines for fabrication. This means that our customers benefit from high quality materials, technology and craftsmanship. Chosen with your family’s lifestyle in mind, we have one of the region’s largest selection of unique products from around the world. Beautiful, durable and affordable – and of course – natural and safe for the environment, visit the Stone Design Concepts showroom before you start your next project. 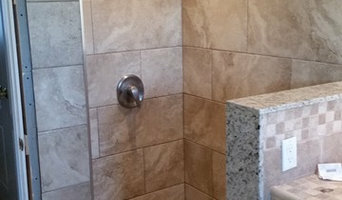 Come to Stone Design Concepts for one of the region’s best selection of natural stone products. Canadian Soapstone is a manufacturer / quarry of Soapstone Countertops, Shower Floors & Basins, and architectural Soapstone. 3rd Generation Tile Setter - Professional Tile Installation - Ottawa's #1 Tile Contractor Our core values revolve around effective communication, great attention to detail and superior workmanship. From start to finish, our Owner-Operator is onsite installing tile while ensuring the job is built to last a lifetime. Fully committed and dedicated to one job at a time, while working onsite every day until the job is complete. We do not sub-contract your job to other companies because our Owner-Operator leads the build on all projects. We stand behind all our work while providing peace of mind with our industry-leading 5 year warranty. Professional Tile Installation, Bathroom Renovations, Custom Showers, Kitchen Backsplashes, Stone Feature Walls, Fireplace Surrounds & Hearths. Zenith Quartz is all about creating modern, sophisticated, eco-friendly quartz surfaces with palatial splendour that embraces the soul of the world’s most intense connoisseurs of kitchen design and countertop fabrication. It is an accessible luxury, well known for its affordability. We look into the future of design creating oriental flavors and traditional classic motifs which reflect a deep understanding of our clients’ taste and ambitions. Zenith quartz is manufactured from a combination of the best nature can offer and superior technology. With a composition of 93% quartz crystals for a high level of polish and good resistance to heat, the dense, compact materials result in minimal air pockets which makes it resistant to shock, scratching and staining. It has the feel and weight of natural stone with a color consistency better than any natural stone. Visit our Showroom! With over 30 years combined experience in this industry, Valley Granite and Tile have covered the whole spectrum of positions …. from labourers and office workers on the front line to foremen, managers, directors and consultants. Some of the most recent projects before the opening of Valley Granite and Tile included consulting for growing companies as well as consulting for start-up companies. Having worked on some of the most difficult and prestigious projects across Canada, we have the skills and experience that you can trust. 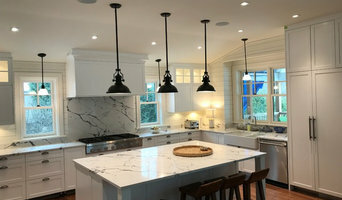 Best of Best Tile & Marble Ltd.
Best of Best Tile & Marble Ltd. is a leading fabricator and installer of custom granite, marble and quartz countertops in Ottawa since 1994. Kitchen countertops, vanity tops, re-finishing and re-polishing of granite, marble and quartz countertops, floors and walls. 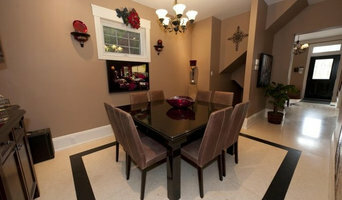 Italo Céramique is Gatineau/Ottawa's leading Italian tile Specialist. For the past 25 years, Italo Ceramique distinguishes itself from its competitors by offering a wide selection of porcelain tiles, mosaics and natural stones such as slate and marble. With over 2000 in-store choices, a qualified personnel and a reliable installation team, Italo Ceramique is there for you from start to finish! Custom Manufacturing of all Natural stone, Quartz and Paperstone. One of Ottawas most experienced and trusted stone fabrication shops. Residential, Commercial renovations and remodeling. If it involves tile, stone or another countertop material, odds are this pro can tackle the job. With comprehensive knowledge of which surfaces will work best in various locations within the home, Ontario tile, stone and countertop contractors can help you select the ideal material for the intended application. Some focus on kitchens and bathrooms, while others handle outdoor projects, such as walkways. In addition to basic surfaces, many Nepean, ON tile, stone and countertop contractors can create and install murals and mosaics, as well as add decorative edge treatments to countertops. They also repair or replace surfaces in the event of chips, cracks, stains or other damage. Many tile, stone and countertop professionals also install shower pans, radiant-heat flooring systems and other common components of surfacing jobs, often working in tandem with Nepean, ON plumbers or other professionals. Here are some related professionals and vendors to complement the work of tile, stone & countertops: Interior Designers & Decorators, Architects & Building Designers, General Contractors, Kitchen & Bath Designers, Design-Build Firms. Find a tile, stone and countertop contractor on Houzz. Narrow your search in the Professionals section of the website to Nepean, ON tile, stone and countertops. You can also look through Nepean, ON photos to find tile, stone and countertop projects you like, then contact the contractor who worked on it.